Make her homemade baked goods to celebrate her special day. 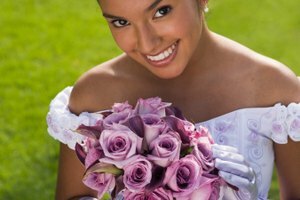 Though your girlfriend may already be planning a major bash for her milestone 16th birthday next year, don't let her 15th birthday slip by, without celebrating with her. If you're uncertain about what to do, give her a day to remember, by surprising her with presents that will appeal to her taste and interests. Give her the royal treatment on her birthday and gift her with items that will allow her to pamper herself. Encourage her to have a relaxing bath by giving her a basket filled with lotion, soaps and other calming items in her favorite scent. Manicure and pedicure sets with bottles of colorful nail polishes will also come in handy when she wants to groom and repaint her nails. If her parents give her permission to wear makeup, a cosmetic set will be the ideal gift for her to experiment with different colors. Alternatively, give her a spa gift certificate to treat herself to a chocolate facial. Present her with a gift that will make her think of you every time she puts it on. A engraved necklace with both you and her names will be perfect for her to place around her neck. Consider giving her a charm bracelet with a birthday cake charm and other pendants to signify her interests and hobbies. Buy her a few flower and feather headbands and clips as the perfect accessories to wear out on a date with you. Skip buying her clothing items or shoes unless you are certain of her correct size. Instead, buy her an item that doesn't require her size, such as a clutch pocketbook. Surprise her with tickets to something you know she will enjoy. Though it may not be on her actual birthday, find out when her favorite singer or band will be in town and treat her to tickets to see them live. 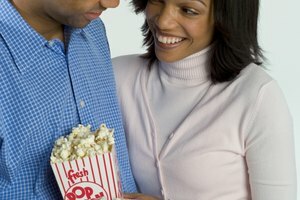 If you are a teen on a limited budget, buy her movie passes and let her select the movie for the evening. Alternatively, give her a gift that will cater to her music or television show interests. A gift card that will allow her to upload new music to her portable music player will be useful to her or a DVD collection of her favorite TV series will help her catch up on missed episodes. Satisfy her sweet tooth with a birthday dessert she will adore. Head to the local bakery and buy her 15 cupcakes in her favorite flavor. Surprise her by having a birthday lollipop or cookie bouquet delivered to her front door. Also, consider making your own baked goods to save money. Bake her an oversized chocolate chip cookie and use icing to write her a special 15th birthday message on top. Or, bake her a batch of cookies. Press number one and five cookie cutters in the dough before baking to pertain to her age. Place the cookies in a decorative tin and wrap with cellophane to give as a gift. Taylor, Wannikki. "What Should I Get My Girlfriend for Her 15th Birthday?" Synonym, https://classroom.synonym.com/should-girlfriend-her-15th-birthday-8171.html. Accessed 18 April 2019.